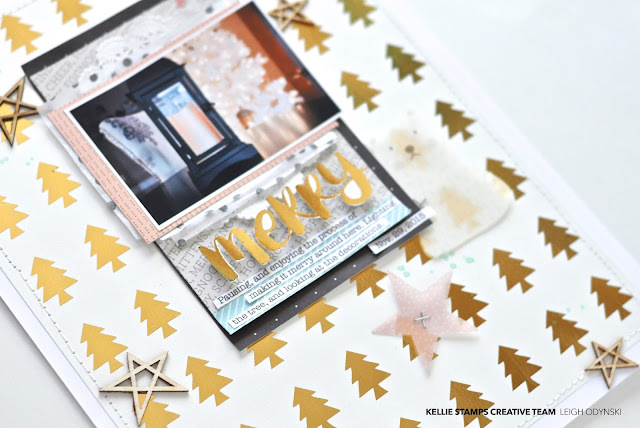 The November release from Kellie Stamps is amazing guys! I made two projects with mine, and this is the second one. I used my laser printer and the Minc Machine to gold foil the tree from "Grinch Moment" digital stamp set. The "Merry" title is from the digital "Merry Joy" set. Ah, the gold foil! So easy to do with digital stamps! This is based on the very latest Studio Calico Sketch from the Studio Calico Blog. 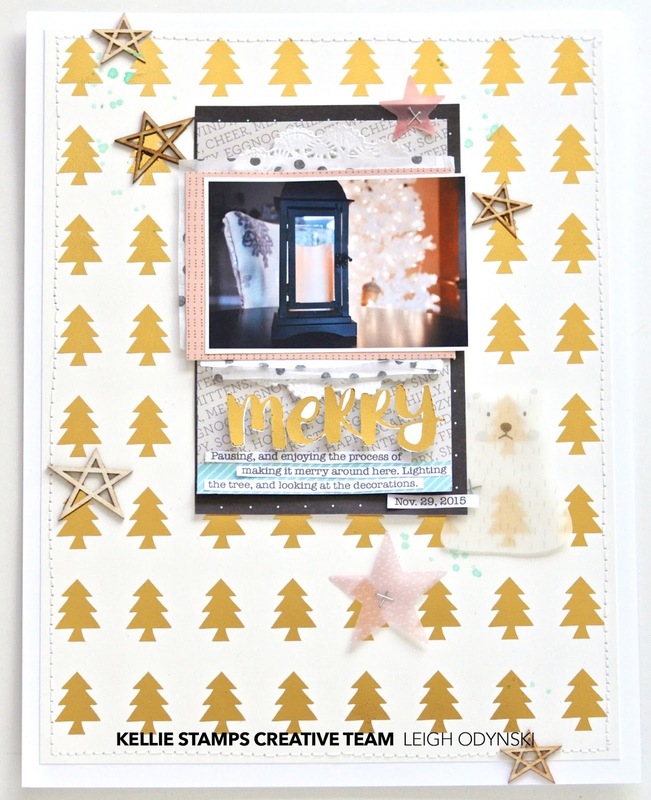 Using the Lollipop Guild Scrapbook Kit from Studio Calico. Inspired by the lovely Anna Maria Wolniak here . Love those vellum embellishments from the Lollipop Guild Kit, and just stapled them with the Tim Holtz Tiny Attacher. to see all the great sets she released this month!! !